Chris Rusin wasn’t able to reverse the Rockies’ home-field disadvantage. 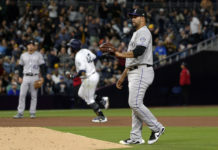 Even though he pitched well for the majority of his outing, for the second straight night, one inning turned out to be the downfall for the Rockies. Like with Tyler Chatwood the day before, all it took was one inning, and a night of hard work went down the drain. Manager Walt Weiss said he thought Rusin was throwing the ball very well, even into the sixth inning. And Tony Wolters, Rusin’s catcher for the night, believed he was making good pitches; the Diamondbacks were simply making better plays. There were some positives, though. 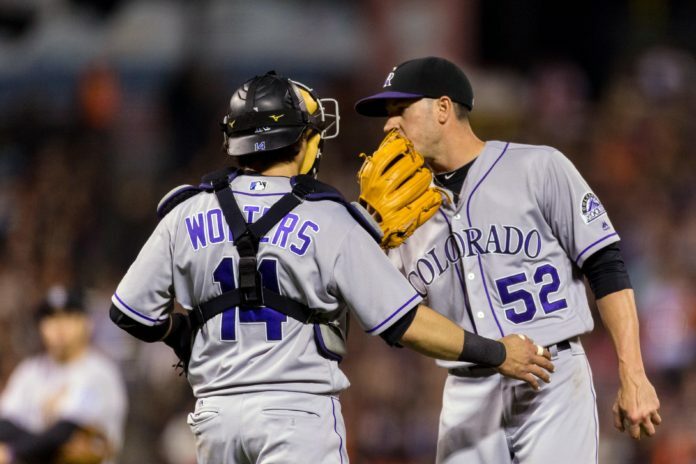 Unlike his last start in San Francisco, Rusin and Wolters seemed to be on the same page. But apparently, none of that is fixing the Rockies’ struggles at home. With the loss last night, their home record now stands at 4-10 and includes a seven-game losing streak. 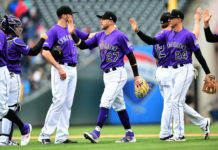 And while fans are looking for answers, the Rockies are left as flummoxed as anyone. It’s almost as if the Bizarro Rockies have come to play in 2016, and no one seems to know what to do about it. For Weiss, though, it’s just a matter of time, circumstance and a little bit of luck. The best thing about baseball is that you don’t have to wait a week to redeem a loss. 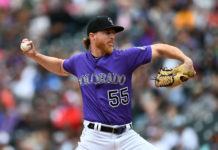 The Rockies need to wake up the bats and salvage the series in the final game against the D’backs before a dominating Mets pitching staff comes to town.